Just sedated! This rhino very aggressive and was posing a risk to the other rhinos on the reserve. We were called in to help load him onto a trailer to move him to another reserve. I was in Wildlife Artist heaven! sketches appearing in books, graphic displays, numerous environmental news letters and 1999 R.S.P.C.A. calendar and an 8 page feature in ‘The Artist’s Palette Magazine’ has show cased his work. His originals and prints appear in local and international collections. Oil: with the inspiring artist Krystii Melaine. 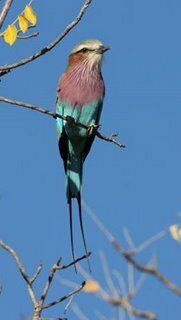 and through detailed study of the Wildlife and its environment. 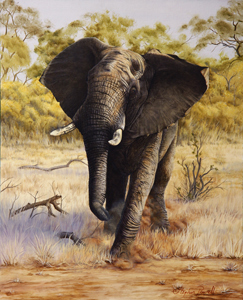 Stephen has served as Secretary and committee member of the Wildlife Art Society of Australasia Inc.
McGregor Schools – University of Southern Queensland. 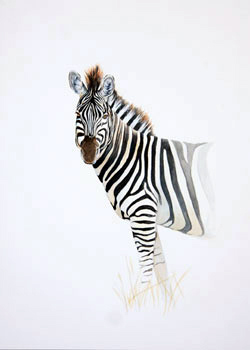 A realist wildlife artist whose images are sometimes misinterpreted as a copy of a single photograph. They often in fact, a collage that combines a collection of images of the creature and its environment. Guided by his wildlife experiences and observations. Aiming to portray some of the essence of the creature, some sense of what draws him to them and the magic of a wild encounter. Painted to give others the opportunity to experience whatever it is that make him smile, laugh, gasp look in awe,…. Some people don’t fully understand or appreciate the works or are moved by them. As there are people, who have walk through a forest or a magnificent gorge and don’t hear the birds, frogs or the wind, not see the tiny lizards or flowers they just march through and move on to the next stop on a tour. On the other hand many others have stopped looked at the work, smiled and even gasped not only at the work but have seen or wish they had seen and experienced what the work portrayed. His images are for them! For Steve the journey and heightened experience that results from really looking, seeking and being inspired is time well spent. The work may be the physical output of his experiances but he would do it without the product at the end! He took up photography when he was 18. First with film, taking, processing and manipulating his own shots and now with digital and computer editing. His photographic skill is evident in his shots of wildlife and the places he visits. Capturing the light and the magic of his experiences. He is in demand for public speaking engagements. 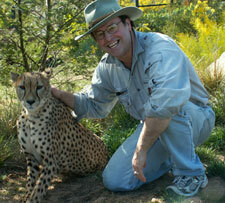 Presentations on wildlife art, photography, wildlife, travel and reference gathering adventures. A speaker who combines his paintings, photographs, his life, skills and experiences into a powerful motivational presentation. 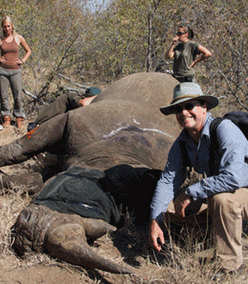 2010 saw the first Steve Morvell & Stephen Powell African Wildlife Art Residential Workshop. This very successful trip is to be followed up in 2012 by the Steve Morvell & Stephen Powell Artist Guided African Safari. 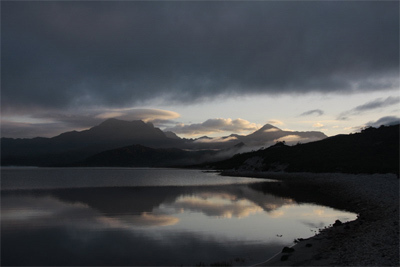 Driven by the success of the first trip the possibility of a second 2012 trip is anticipated. 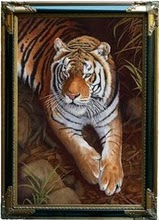 Bengal Tiger Painting by Stephen Powell. I’ve been very busy so my blogging has suffered. Today I walked through a local forest and listened to Lyrebirds – They are incredible mimics their songs include all the songs of the birds in their part of the bush. They have been recorded using 56 different sounds and bird songs in just 180 seconds. They include the sound of man also if they are in built up areas. Wood chopping, chain saws, gates closing camera shutters and pumps. My favorite story is one that incorporates the sounds of a flute picked up from a local girl practicing. Would love to hear it! I laugh every time I hear them sing. It’s wonderful! Thank you so much for a intelligent article. Great job! I just couldnt leave your website previous to saying which i truly enjoyed the top quality info you offer you to your visitors..
. Are going to be back again typically to examine up on new stuff you article! I am writing to you to firstly say how much we absolutely love your work! You are so incredibly talented and your pieces are stunning! Lawyers for Animals dedicate their spare time free of charge and are currently seeking pieces by Victorian artists to raise funds to help them keep fighting to protect animals in Australia (Pls see below details of what Lawyers for Animals do). They will be holding an auction for donated works (date and venue still to be confirmed) and will be inviting some of Victoria’s most influential business people. I am coordinating this auction for these amazing and dedicated lawyers who give up so much of their precious spare time for our beautiful animals. We are wondering if you would be so kind as to consider donating one of your beautiful pieces to this auction? Not only would you be ensuring your name is being spread to these people and the media as a talent to be taken note of, but you will be helping these amazing lawyers who dedicate their spare time to changing laws to ensure our beautiful animal friends don’t suffer silently and needlessly as they currently do. Thank you for your time Stephen and I look forward to hearing back from you. Classed as property, animals have no legal voice: they need lawyers to advocate for them. Lawyers for Animals is a volunteer-based organisation in Melbourne that is dedicated to improving the welfare of animals through education and law. I receive numerous requests for donations of my paintings to raise funds for a wide range of worthy causes. I have a number of organisations that I support and unfortunately I can’t add any more. Can anyone let me know which high-end camera model might be best suited to take fast paced targets? I am wanting to capture mammals in wildlife. I use a Canon 40D and recently a 7D with a 100 -400mm IS zoom and I’m very pleased with the results! Stands back from the keyboard in amazmneet! Thanks! Not sure what information you need! There is more detail on my web site. I am 58 years old married with two adult boys. I live in Melbourne Australia. 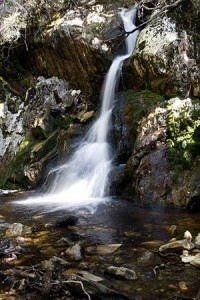 Details of my recent travels are available on my web site and through the blog. I am reluctant to add more detailed information as I have already had one ‘gentleman’ use my identity to commit fraud in the US. Hello and also thank you for this excellent post. I am always looking for travel & holiday ideas to recommend to my own personal readers. It’s actually precisely what I was looking for. Hi and thanks for this first-rate article. I am always searching for holiday tips to recommend to my own readers. It’s exactly what I was looking out for. A very good post. This domain appears to recieve a good ammount of visitors. How do you get traffic to it? It gives a nice individual twist on things. I guess having something authentic or substantial to give info on is the most important thing. You made a few nice points there. I did a search on the theme and discovered most people will have the same opinion with your blog. This post appears to get a great deal of visitors. How do you advertise it? It gives a nice unique twist on things. I guess having something authentic or substantial to talk about is the most important thing. Simply, admirable what you might have completed here. It truly is pleasing to appear you express from your heart and your clarity on this important content could be easily looked. Impressive post and will appear forward for your long run update. I truly like your style of blogging.Cheers for sharing with us.This is really a great project and I hope you get a lot of support! Thanks for sharing excellent information. Your website is very cool. I’m impressed by the details that you have on this website. It reveals how nicely you understand this subject. Bookmarked this web page, will come back for extra articles.